I woke up one morning to the buzz of an incoming email on my phone. “Dear Jason,” the message started off disarmingly innocuous, “we are delighted to invite you to our 13th Annual Student Awards ceremony.” The sender was the chairman of a respected NGO that supports underprivileged children in Hong Kong. But the invitation took a sudden, horrifying turn: “It would give us great pleasure if you would be our keynote speaker to address 500 honor students at City Hall. We look forward to your favorable response.” Gulp, gasp, gag. I threw my phone across the bed and leapt to the bathroom. I was ready to hurl. Surveys have shown that most people, regardless of age, gender or ethnicity, fear public speaking more than they fear death. Jerry Seinfeld famously joked that the average person at a funeral would rather be in the casket than doing the eulogy. The phenomenon is called glossophobia, derived from glossa, the Greek word for tongue. The symptoms are those associated with the classic fight-or-flight response: pounding heart, sweaty palms, wobbly knees and a rabble of butterflies in the stomach. For the introverts among us, the mere thought of standing up and talking in front of a crowd is enough to trigger a panic attack. It is the sum of all fears: rejection, public humiliation, and if the speech is taped and uploaded onto YouTube, a searchable embarrassment that will last for eternity. 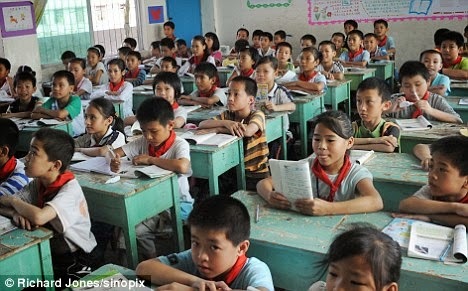 Nowhere are those fears felt more strongly than in Asia, where children tend to learn by rogue and are taught to be docile. In conformist countries like Japan, Korea and China, speaking up in the classroom or voicing an opinion at the dinner table is often mistaken for rebellion and therefore discouraged, which gives young people little chance to hone their verbal skills. Once they are out in the real world, the virtue of silence quickly turns into a vice, when they are asked to give a presentation or lead a conference call. Fears set in and all the rookie mistakes show up: reading off the slides, dodging eye contact, and looking as cheerful as an inmate strapped to his execution gurney. Psychologists believe that our speech anxiety has to do with the fear of being ostracized. Humans are social animals and we form social groups to survive the perilous world. Early humans depended on each other to fend off predators and starvation, which makes social acceptance a necessary condition for survival and ostracism a form of social death that preceded the actual, physical one. Glossophobia is our natural response to the risk of being judged publicly and negatively, the same way we are programmed to fear heights and rodents to mitigate the risk of falling and contracting deadly diseases. In other words, those butterflies in our stomachs are the result of millennia of genetic mutations, designed to stop us from sticking our necks out and drawing too much attention to ourselves – a risky proposition for anyone living in a lawless commune of axe-throwing, arrow-shooting Neanderthals. 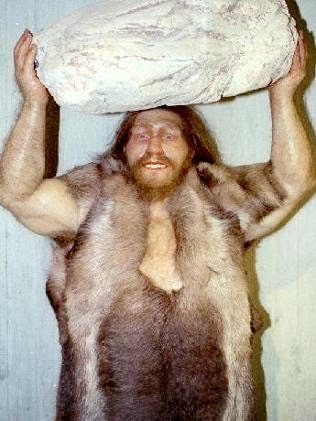 But loincloths and mammoth furs are so 10,000 B.C. A few things have changed since our hunter-gatherer days, including the wisdom of flying under the radar. 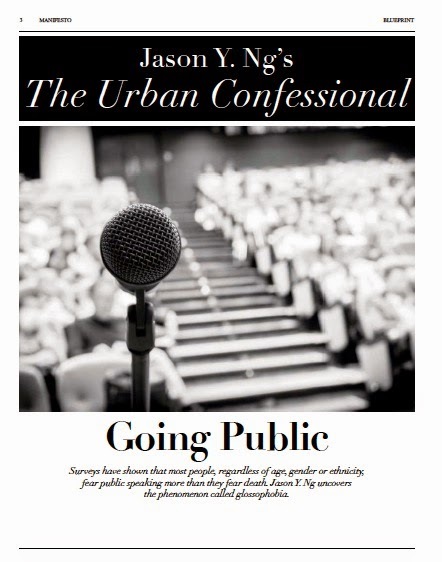 Public speaking in the 21st Century is as ubiquitous as it is inescapable. These days, everyone from a 20-year-old web designer pitching for a new gig to a middle-aged soccer mom voicing a grievance at the PTA meeting will find themselves in the hot seat. 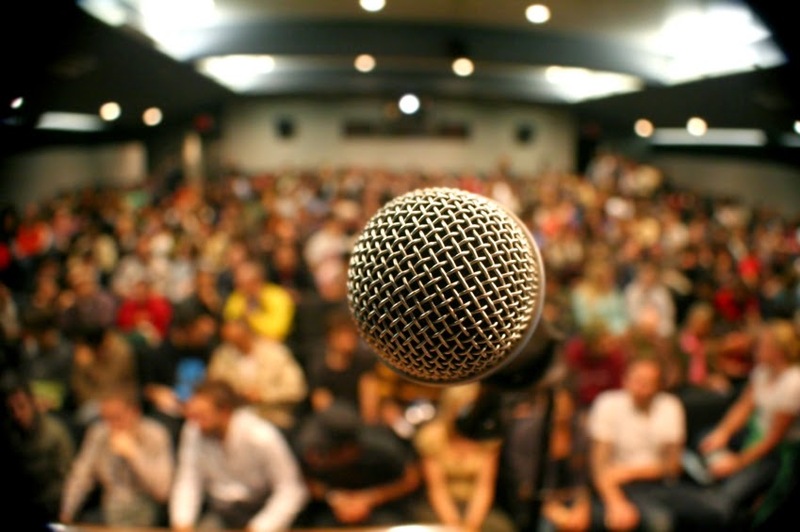 The ability to address an audience with composure is no longer expected only of presidential candidates and tech company CEOs, but anyone who wants to be heard. In the age of black turtlenecks and TED Talks, glossophobia has devolved from a defense mechanism to a career-limiting defect. The butterflies that were meant to protect us from dangers are now holding us back in life. The urgent need to treat glossophobia has spawned a glut of self-help books and magazine articles. A vast majority of them go through the usual dos and don’ts: do practice with friends, do picture the audience in their underwear, don’t use throwaways like “um” and “er”. 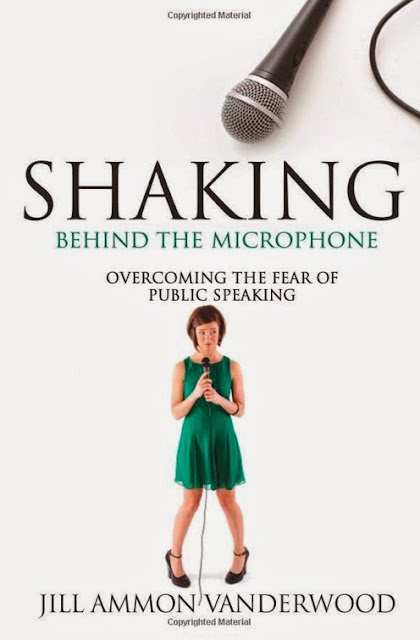 But if reading a book could cure stage fright, there wouldn’t be so many glossophobes still shaking behind the microphone or dragging themselves to Toastmasters meetings week after week, year after year. To learn how to swim, as it is often said, we just have to jump into the deep end of the pool and start flapping our arms. Anything else, like kicking around all day with a foam board, is likely a waste of time. That takes me back to the ominous email that rocked me out of bed one fine morning. The next day I accepted the chairman’s invitation and immediately began working on my speech. I practiced in front of the mirror every day for two weeks, each time getting better but discovering something I needed to correct. In the end I did all right. I wasn’t nearly as nervous talking on stage as I was preparing for it. 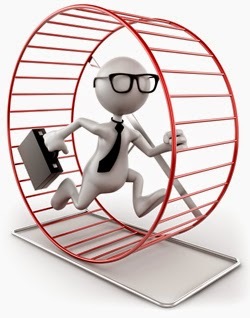 But the whole ordeal frustrated me – because irrationality frustrates me, as does the notion that I have to take orders from, of all things, my adrenal glands. My job at the awards ceremony was to inspire young minds, but every last ounce of enjoyment from that otherwise beautiful experience had been sucked out by my over-preparation, all because I needed to keep my irrational nerves at bay. That night I said to myself: never again. That was five years ago. Since then I have taken the plunge into the deep end of the proverbial pool, taking on as many speaking engagements as time allows. As a lawyer, I jump on every opportunity to give seminars and chair meetings. As an author, I go on the lecture circuit, give radio interviews and speak at literary events big and small. I have learned to not only control my nerves but relish the adrenaline rush. I have discovered that we fear public speaking because we make it all about ourselves – how we sound, how we look and how much we impress. But who gives a hoot? The only thing the audience cares about is what they get out of sitting in the room instead of being somewhere else. Depersonalization – the recognition that the world does not revolve around one person – has made me a better speaker. It has set me free. Public speaking is not an inborn skill. On the contrary, we are genetically programmed to fear it. Going against our instinct requires patience: we can’t expect to overnight overcome a phobia millions of years in the making. But the human brain is a muscle, and like all muscles it can be trained. If we fail horribly the first 23 times, we are bound to get better on the 24th try. The only way to become an effective speaker is by getting to a point where speaking in public is as uneventful as talking to friends or reading a bedtime story. Every great speaker we admire, from Bill Clinton to Emma Watson (who won kudos for a recent speech on gender equality at the United Nations), can do what they do not because they are missing the glossophobia gene, but because they have done it a thousand times over. As much as we like to associate oratorical skills with knowledge, charisma and superpower, in the end it comes down to one simple, unglamorous word: repetition.